Thank you for visiting our One & Only Honeymoon Registry. We are so excited to take the honeymoon of our dreams and create memories that will last forever. 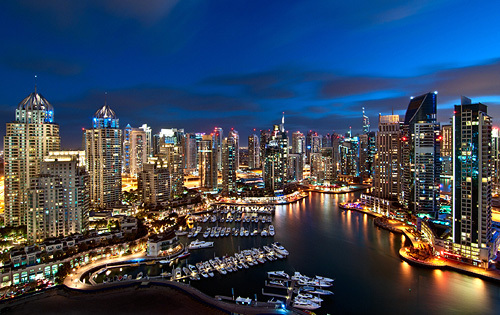 During our honeymoon at One&Only The Palm, we will embark on an exciting sightseeing tour around Dubai. We will visit the Dubai Museum, and Sheikh Saeed’s House and we’ll enjoy a cultural walk at The Bastakiya and the Jumeirah Mosque. Next, we will board an authentic ‘Abra’, a river taxi ride or a Dhow cruise. Thanks to your generous wedding gift, we will take in the amazing sights of Dubai! This item is approximately 155 AED. During our honeymoon at One&Only The Palm we will be able to learn more about the exotic history of Dubai and the marvel of Burj Khalifa with a journey to ‘At the Top’ observation deck. Located on level 124 of the world’s tallest tower, we experience 360 degree sweeping views from the Gulf to the Arabian Desert and beyond. Back on the ground we will also have the opportunity to enjoy an enchanting performance of light and water set to music ranging from traditional Arabian to classical at the Dubai Fountain, set in the 30-acre Burj Khalifa Lake in the heart of Downtown Dubai. This item is approximately 400 AED. Thanks to your wonderful wedding gift, we will discover spectacular greens and rolling fairways while enjoying exciting rounds of golf. at one of the many courses in Dubai ranging from the world famous Emirates Golf Club and The Montgomerie, just minutes away from the resort to Dubai Creek Golf & Yacht Club, The Desert Course, The Els Course, Jumeirah Golf Estates and Al Badia, all of which boast impressive challenges. This item is approximately 660 AED. On our honeymoon at One&Only The Palm, we will embark on an exciting balloon expedition, a must do activity for any true adventure lover. Much like a magic carpet ride, the only thing we will expect is the unexpected. Floating 3,000 feet over the sands in a hot air balloon is one of the best ways to see and study the many aspects of the local landscape – shimmering golden dunes, emerald green oases, immense blue desert skies, rare flora and fauna, and the occasional camel or two. This item is approximately 995 AED. In the beautifully decorated settings of our Palm Manor Premiere Room, we will indulge in the refined elegance of paradise. Located within the Manor House in the heart of the resort, our room is designed with contemporary chic decor and a subtle taste of Arabia, paired with personalized service of a dedicated team. Our relaxing retreat features a king size bed with luscious linens, a luxurious bathroom and a private balcony with beautiful views, a dining space and sun loungers. Set in one of the resort’s six beachfront Mansions we will indulge in a secluded, tranquil hideaway with unparalleled proximity to the beach and pool. Steps away from the beach our Palm Beach Premiere Room is beautifully decorated in distinctive Moorish and Andalusian architecture with chic interiors. Our stylish guest room boasts state-of-the-art technology, a king size bed with a luxurious bathroom and a private balcony or beachfront garden patio furnished with elegant outdoor seating and personalized service provided by a team of dedicated hosts. Our honeymoon at One&Only The Palm promises us a luxurious stay in the ‘Grand Palm’ Suite, set within a tranquil yet vibrant island-feel getaway. 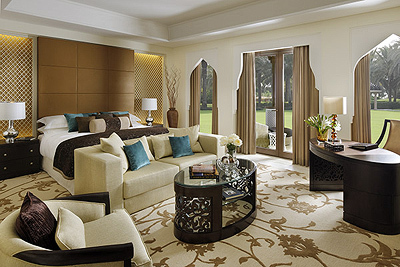 Located within the Manor House in the heart of the resort, our suite is decorated with a contemporary chic design, a subtle taste of Arabia and fine furnishings in the sumptuous living and dining areas, the foyer and the lounge. Our honeymoon haven boasts personalized service provided by a team of dedicated hosts, a king size bed with luscious linens, a luxurious bathroom and a large outdoor terrace featuring majlis-style seating and dining facilities with unrivalled views of the resort. 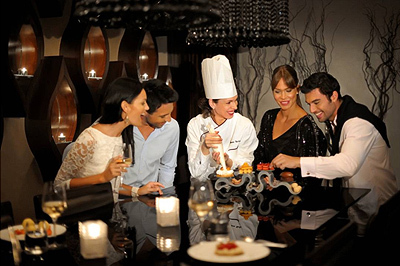 Together we will discover cuisine that blends culinary influences of the Middle East, Asia and the West. 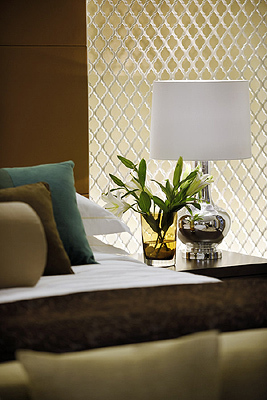 Elegantly designed with floor-to-ceiling windows to create an inviting ambiance, ZEST boasts delightful touches of silver leaf and cut-quartz crystal that accent flourishes of Arabian decor. 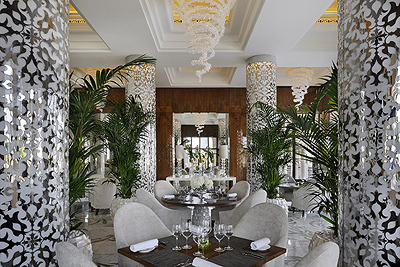 With charming indoor and outdoor seating overlooking the grand pool and Moorish inspired gardens, we will indulge in delightful breakfasts, sumptuous lunches and enticing dinners. 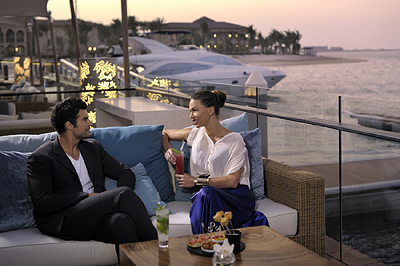 One&Only The Palm promises us an exquisite dining experience within a comfortable, stylish atmosphere. STAY by three start Michelin Chef Yannick Alléno serves signature dishes showcasing traditional French cooking methods reinterpreted in a contemporary fashion and features a unique pastry library. We will discover simple, great tasting food in a setting decorated with high timber walls and vaulted ceilings with black crystal chandeliers to create an ambiance of refined elegance and romance. Located by the resort’s private marina, the hip and chic 101 Dining Lounge and Bar offers a selection of light tapas or a menu of Mediterranean dishes ranging from fresh salads to succulent seafood. Complemented by an open bar serving tantalizing cocktails and tropical concoctions, we will be mesmerized by a live DJ and the sweeping panoramic views of Dubai’s skyline! 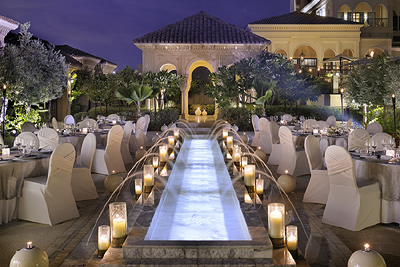 Your generous wedding gift allows us the opportunity to indulge in a romantic candlelight dinner on our own private balcony or at the unique Poolside Cabana Suite. Candles will lead to a beautifully set table complemented by soft background music and attentive service creating a perfect ambiance to enjoy a delectable three-course meal. This item is approximately 1400 AED. 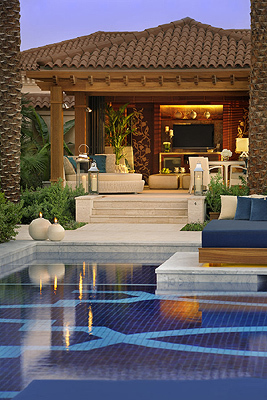 Located on Palm Island, Dubai, One&Only The Palm, promises a unique and intimate honeymoon experience with a tranquil yet vibrant island-feel getaway just moments from the energy and excitement of New Dubai. From its private marina, we will discover the low-rise Mansions and beachfront Villas, where Moorish and Andalusian influences meet chic contemporary living for a blend of elegance and refinement. We will tantalize our palates and delight in an array of local and international dining choices, indulge in romantic bliss with a rejuvenating treatment for two and will embark on exciting adventures with one of the many activities available! In a beautifully decorated setting with a backdrop of endless exotic beauty, we will exchange our vows in the company of our family and friends. One&Only The Palm will ensure that our special day is perfect in every way with creative, individual attention paid to each detail. With your lovely wedding gift, our beloved day will be just as timeless and enchanting as we imagined! Together we will embark on a journey of pure relaxation and wellness. One&Only Private Spa offers an extensive holistic collection of tailored spa experiences within a tranquil retreat set amidst ponds, fountains and open courtyards. We will be pampered with an array of signature treatments nourishing massages and more. With your generous wedding gift, we will discover a world of peace and calm! This item is approximately 490 AED. On our romantic honeymoon at One&Only The Palm, we will immerse our senses and prepare our minds and bodies for an indulgent spa experience. This time-honored Arabian Tradition begins with a skin softening sea salt and oil exfoliation before a selection of nourishing muds are applied to our bodies. Next, we will receive a Rhassoul steam to soothe tense muscles before warm water washes away the mud. This divine treatment will end with luxurious soak in a therapeutic bath before we receive a lavish two hour treatment of our choice. This item is approximately 2,780 AED.